You can save $10, $20, $50 Today! 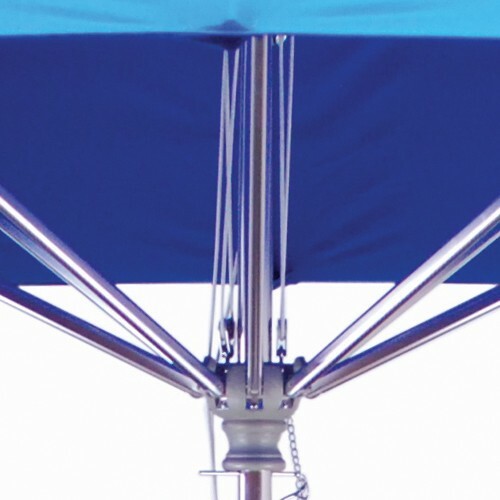 Note: This umbrella will not fit through a table due to the length of the ribs. Please click on thumbnail to see fabric name and close-up. We have done everything possible to represent these fabrics as true to color as possible. However, we cannot account for different screen or monitor resolutions. We cannot guarantee color selection. We are proud to carry Sunbrella™ Fabrics. 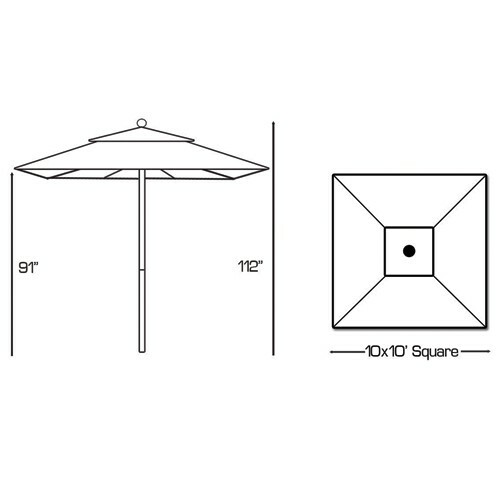 It's hard to think of the perfect example of a superior, sleek, contemporary commercial quality patio umbrella than Galtech's model 792 10' X 10' deluxe umbrella. 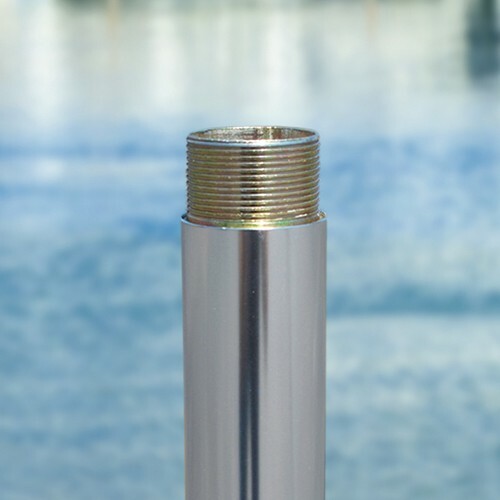 From the stainless steel hardware, the heavy gauge aluminum pole, removable and mountable quick release ribs, and a beautiful line of Sunbrella fabric, this umbrella just IS high-end outdoor decor. 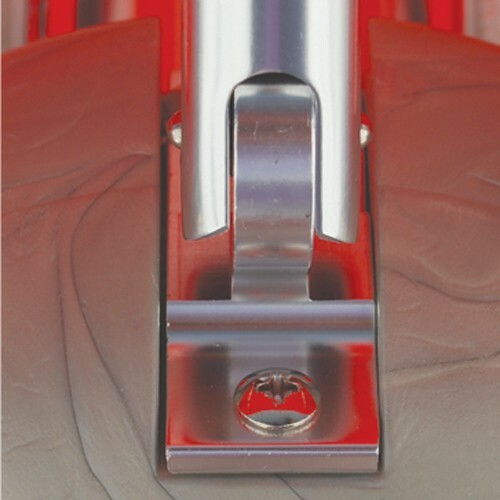 The umbrella ribs are double walled, meaning they are twice as thick and twice as strong as standard umbrella ribs. The high impact resin hub and runner are designed for the rigors of heavy traffic and an unforgiving outdoor environment. 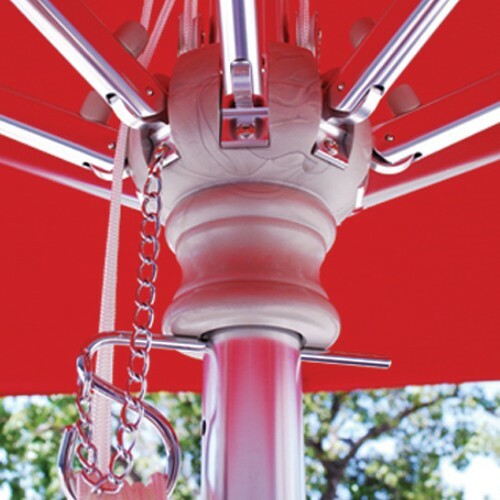 Since the two-piece pole does not tilt, the umbrella is sturdy and safe from tip-over, so it's safe around family. 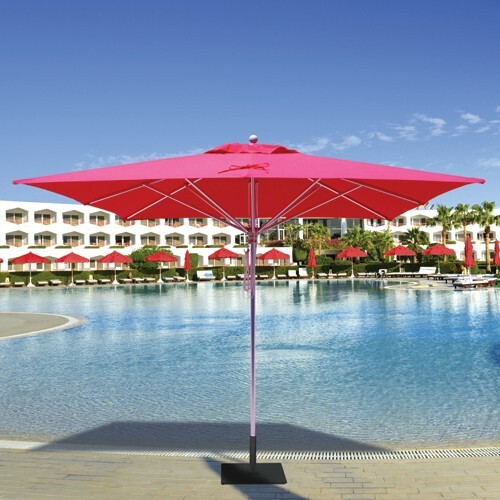 The sleek and elegant look of this umbrella fits the chic Gotham eateries, the exclusive poolside of a San Tropez hotel, or the outdoor decor of a homeowner who seeks quality. 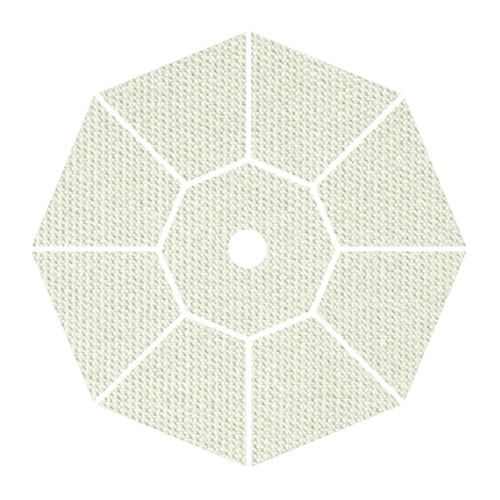 Transform your space with this exclusive high-end umbrella. * This umbrella does not include a base. ** Processing Time: 7-10 business days. This product only ships in the Continental US. Please note that because our items are Made To Order, no cancellations can be accepted after the product has been sent to the manufacturer. 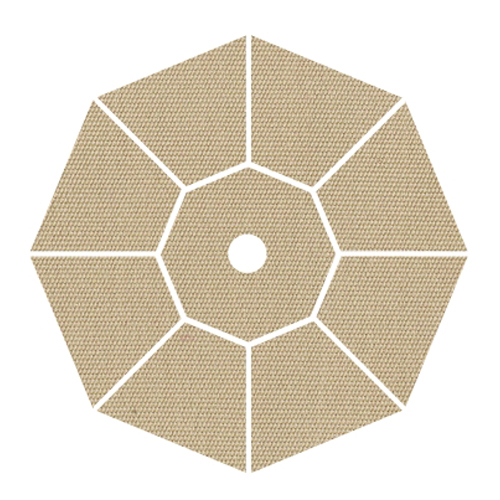 Check out our Patio Umbrella Buying Guide for the information you need on picking the perfect patio umbrella. And to get the latest info on our company and the patio space, don't forget to checkout our iPatioUmbrella blog. What is not covered: DAMAGE CAUSED FROM WIND CONDITIONS AND ACCIDENTS SUCH AS DROPPING OR FALLING OVER ARE NOT COVERED UNDER ANY CIRCUMSTANCES. Damage indicative of wind or falls include broken ribs and bent aluminum poles. Replacement of warranty items will be determined at factory discretion. 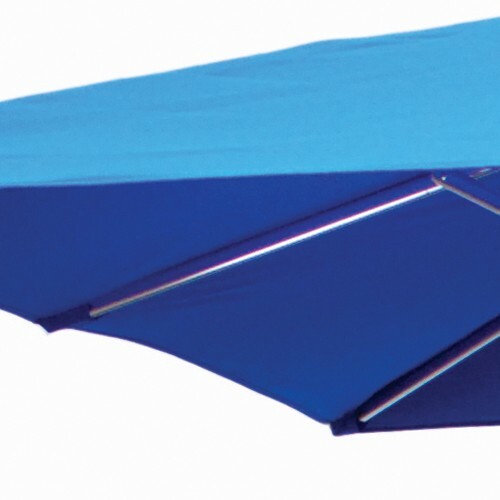 Umbrellas must be properly grounded in the appropriately weighted base and closed or stored away during weather conditions such as rain, snow, hail and windy conditions. 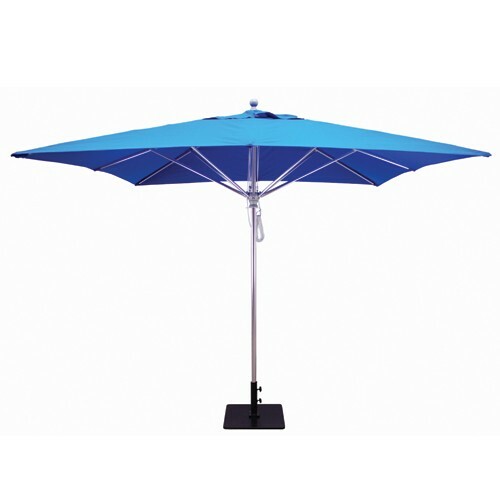 Warranty is invalid if a residential patio umbrella is used for commercial reasons. 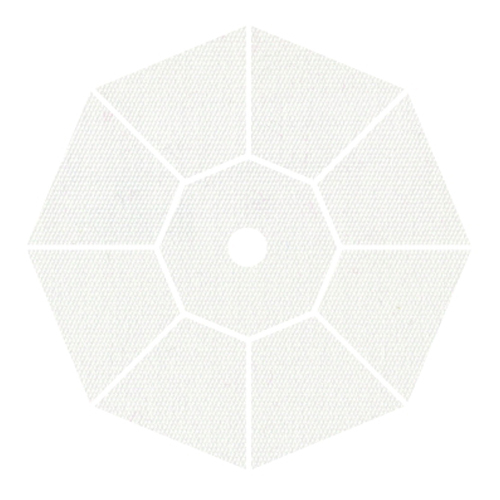 All items are listed with estimated shipping times. During Peak Season (May through August) shipping lead times can be up to 30 business days depending on the product you order. We ship all items via UPS Ground or FEDEX Ground services which can add an additional 5-7 days. When you place your order, we process them on the same or next business day. You may cancel your order within 48 hours, or before any material has been cut in order to avoid any charges. If you must return your product for warranty purposes, you must obtain a Return Authorization. To obtain a return authorization, please contact us directly. To make the return as quickly and efficiently as possible, please take pictures of any defect so that we may quickly review your ticket.